The Aruba Cycling Federation organizes one of the biggest cycling events of the year, on our National Flag & Anthem Day. 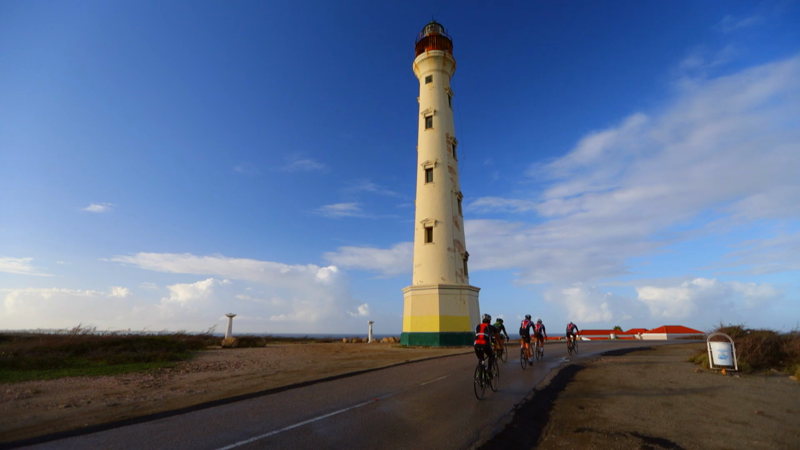 The Aruba Cycling Federation, locally known as "Aruba Wieler Bond-seccion MTB" has an annual tradition of organizing one of the biggest cycling events of the year, on Aruba's National Flag & Anthem Day. There are four categories for children who take two different circuits, as well as different categories and circuits for men and women. Participants start at Seroe Colorado. All participants start at the same time and ride together to the finish at Jara (at Restaurant La Granja in Savaneta). Seeing this large group of mountain bikers ride on the main road from San Nicolas direction Savaneta is certainly an annual highlight for spectators.